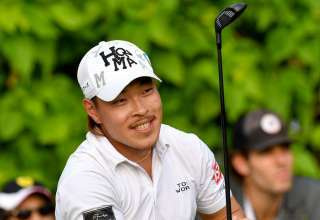 Singapore, October 18: The first Singapore Golf Association Golf (SGA) Junior Golf Clinic in partnership with the SMBC Singapore Open took place on Sunday at Sentosa Golf Club. 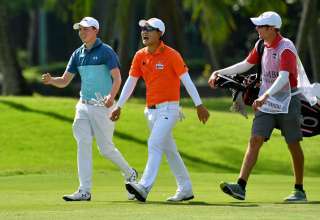 A total of 30 junior golfers participated under the watchful eye of Myanmar’s Kyi Hla Han, a former Asian Tour number one and now the Chairman of the Tour, as well as Singaporean professionals Koh Deng Shan and Jerome Ng. A busy Sunday morning saw the golfers put through their paces on the driving range, putting green and short game area. The participants were recruited by the SGA via the Ministry of Education and have been split into two clinics, with the second one due to take place on November 1. 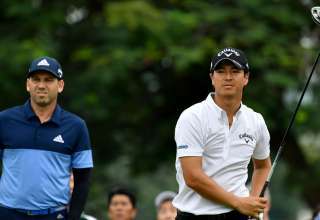 A third is planned clinic for the most promising children nearer to the SMBC Singapore Open, which takes place on the Serapong Course at Sentosa Golf Club from January 28 to 31. The aim of these clinics is to give young aspiring golfers access to professional tuition. It is hoped to expand these junior golf clinics next year into a more regular development programme. 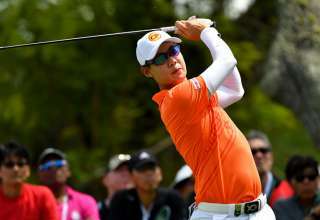 The golf clinics were organised by the SGA and Lagardère Sports, the promoter of the SMBC Singapore Open, and graciously hosted by Sentosa Golf Club.